BelGAS has introduced its Type P140 pressure regulators for a wide range of gaseous fluids, including air, natural gas, LP, propane, and general-purpose pressure regulation. The P140 offers versatility, accuracy, and a compact design, available with or without internal relief. BelGAS ramped up production of the P140, with thousands boxed and ready for same-week shipment from its U.S. headquarters. The P140 is designed to be reliable and economical—a balance that is key for the many markets this device serves. It is an ideal and cost-effective choice for typical residential applications, as well as many light industrial and commercial applications. 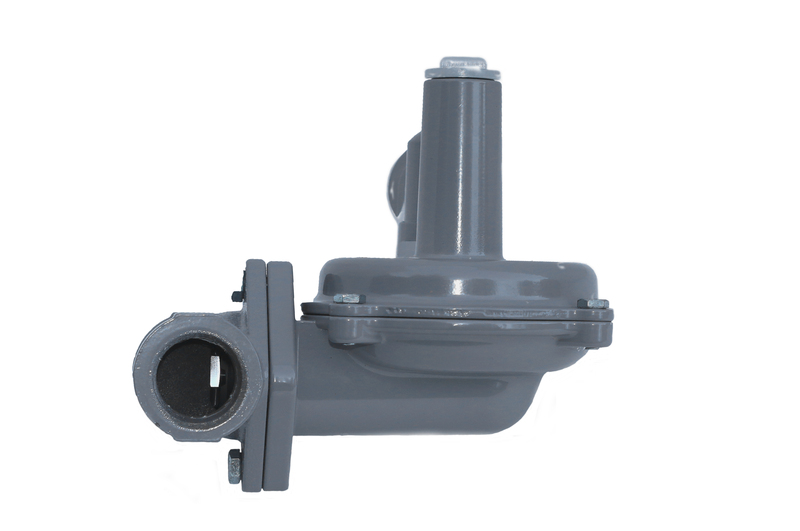 Pressure delivery of 5″ wc to 5 psi is available. Body sizes include 3/4″, 1″ and 1 1/4″, in straight or angled body configuration and a variety of standard and custom-sized orifices. With an iron body, aluminum bonnet, and other components made of stainless and zinc-plated steel and nitrile, the P140 is heavy-duty instrumentation that is built to last. Headquartered in Newell, W. Va., USA, The Marsh Bellofram Group of Companies is an AS9100D and ISO9001:2015 certified global manufacturing collective. Its portfolio comprises high-performance OEM, industrial, and process control instrumentation, including timers and counters, digital controllers, RTDs and thermocouples, pressure instruments and gauges, FRLs, cylinders, natural gas and propane pressure regulators, valves, air pressure regulators and transducers, tank and liquid level measurement systems, pump and motor protection switches and alternating relays, as well as sensors, DC tachometers, encoders, industrial diaphragms, and specialty silicones. For more information, visit www.marshbellofram.com. Related Companies: Marsh Bellofram Corp.